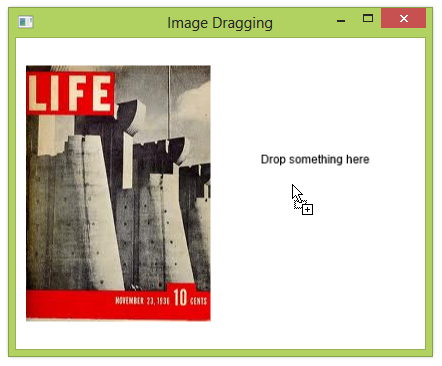 You can drag the contents of one Image control onto another Image control fairly easily. 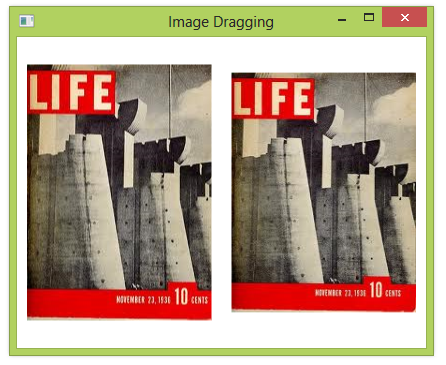 When you drag an image to another application, you have to convert the image to a bitmap. But within the same application, you can just use the value of the image’s Source property as the data being dragged. <Image Grid.Column="0" Source="Life01.jpg" Stretch="None" Margin="10"